When I got the idea to start this blog, I started researching the various blogs for photographers that were out there. I wanted to make sure that The Modern Tog wasn’t simply doing the same thing that everyone else was already doing. 1. 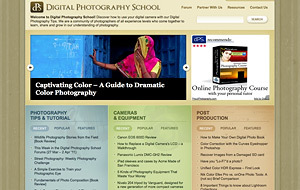 Digital Photography School – This site focuses on basic shooting techniques, gear reviews, and post-production. While I think it’s geared more towards photography hobbyists than professionals, there’s a lot of really good foundational information that will help you to become a better photographer, especially if you are just starting out. It also has one of the strongest forum communities I’ve seen on a blog, which I think is highly valuable when getting yourself established. 2. MCP Actions – Whether or not you use Photoshop actions in your editing (I mostly do not), this blog has lots of great business advice that will help your business to grow. Jodi, the author of the site, sells her actions as well if you’re interested in them. 3. Tofurious – This blog is full of marketing techniques for photographers. Lawrence is a wealth of knowledge, is good at making you think for yourself, and always has great examples that make the lesson easy to understand. He also authored Creative Pricing & Packing for Photographers (affiliate link), which I found valuable in thinking about how to set up the various packages I offer my clients. 4. Zack Arias – Zack Arias is a stellar photographer with a heart of gold. He cares more about the industry as a whole than just about anyone I know. He’s ridiculously talented for his off-camera lighting, and his OneLight DVD is probably the best introduction to using your flash and learning lighting techniques that is out there. One of my favorite parts of his blog are his website critiques, which are worth watching to learn what you should and shouldn’t do when setting up a website (you’ll also learn about shooting as he talks about the images). 5. The Joy of Marketing – This blog has a ridiculous amount of good marketing information for photographers. They also offer free webinars from time to time that are amazingly helpful and full of excellent advice. 6. 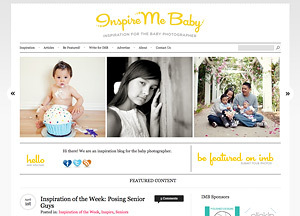 Inspire Me Baby – This site features portrait shoots, but along with them they give shooting tips for photographers that are related to the images shown. 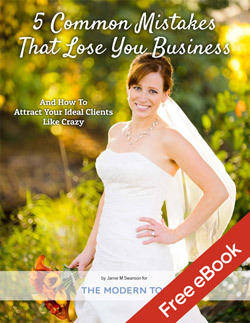 It’s an excellent resource for any portrait photographer. 7. Brand Camp Blog – Another helpful blog with business tips, mostly revolving around branding and being true to yourself. I’ve enjoyed reading this blog over the past year or so since it started. 8. Photo Lovecat – I believe I’ve read through this entire blog. It’s written by a collection of photographers whose advice is right on the money. While it isn’t as active as it used to be, it’s still a great blog to follow and read. 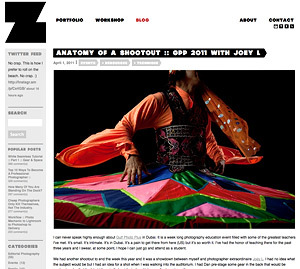 Their workshop reviews and information about WPPI are incredibly helpful. 9. Elizabeth Halford Photography – I just recently found this blog, but it’s full of all sorts of really solid advice about working with clients and running your business. She’s not afraid to tackle the difficult subjects, like how to deal with naughty kids, and I think this will end up being one of my most-read blogs and probably moving up the list over time. Good stuff. 10. 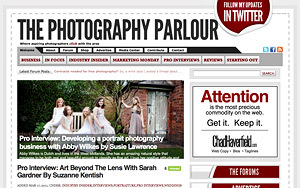 Photography Parlour – This is a site full of interviews with photographers. It’s more of an interest type of site than something that will help you to grow your business, but I enjoy reading about other photographer’s work and thought that others of you might enjoy it as well. What are your favorite Blogs for Togs? I know there are lots more out there – list your favorites in the comments below (and link to them!) Even more fun, link to them with the hashtag #blogs4togs on Twitter. I’m sure they’ll appreciate the love, and that’d be a great place for us to see what other blogs people love and follow!